Courtney Mann, ETC: Mountain Math Strikes again! The wonderful people of Mountain Math approached me a couple weeks ago offering me a new tool for my fifth grade classroom and I jumped for joy at the opportunity. If you didn't read my post before on Mountain Math take 15 minutes of your day and read it HERE. I love love love and adore Mountain Math and I'm so disapointed that I won't be using it (this year) in my 5th grade classroom. I will have to earn my keep before I can start changing the rules of the roost unforutnately. BUT Mountain Math and their lovely staff sent me their "Dare to Compare" center that I couldn't wait to get my hands on. It arrived today and it is going to be a wonderful tool for review I already know it. 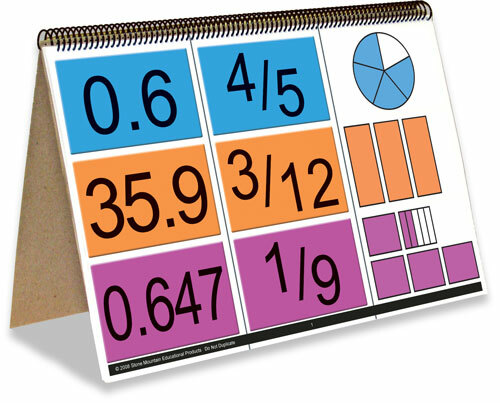 • The Dare to Compare Center is designed to challenge students and demonstrate relationships between fractions, decimals, and percentages. If you are looking for a bell ringer or something to do with students who finish work early I highly suggest it. Let me know if you have any questions! I would also love to know if you are already using Mountain Math products! The Dare to Compare chart looks awesome. Thanks for the recommendation. Going to check it out now!